When playing harmonica which notes you play are of couse important but how you play them is just as important. In previous articles I have described techniques such as tongue slap and pull slaps which are ways of presenting the notes differently from the simplest form of presentation. In this article I will introduce dirty notes which is a technique that can be used by both tongue blocking and puckering players. Dirty notes are simply notes that are colored by another note which is not the pitch you intend to play. This gives it a grittier, dirty feeling that works very well for blues. If you think that a riff sounds too clean, then this technique may be just what you are looking for. The principle behind dirty notes is very simple. You simply play the note you want to play and widen your mouth ever so slightly to let a little bit, maybe 20%, of the upper adjacent hole in. So, if you play hole 4 you widen your mouth to the right and let a little bit of hole 5 in. I like to think that I smile a little with the right side of my mouth. You can use a tongue block trainer to see what goes on. The result should still sound like hole 4 but with a bigger dirtier sound. Remember you are not aiming for a two hole chord, hole 4 must be dominant. Listen below for an example. Hole 4 on a C harp going from clean single note to dirty note back to clean single note. 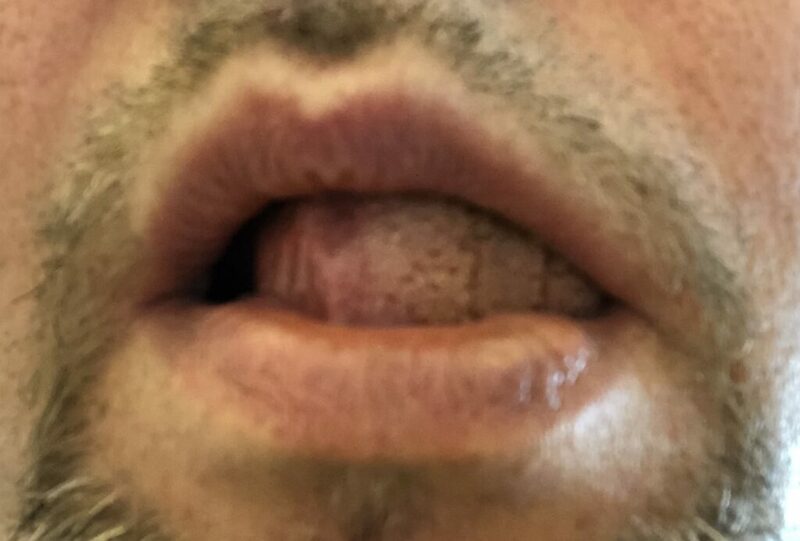 To develop the technique I suggest you play hole 4 inhale and the very slowly and conciously widen your mouth to the right. When you hear the effect happening, experiment with how much of it you want. Too much will spoil the effect. It should sound dirty, precise and intentional. It is not just sloppy playing, it is a deliberate choice! Dirty notes can be used very freely when playing blues, especially when playing something aggresive. To make the effect stronger it is a good idea to play some clean notes every once in a while. Also of you are going for a smooth sound then dial back on the dirty notes. Now I suggest you try it out for yourself and hear how much bluesier you can sound. Don’t forget to sign up below to get the Welcome package and exclusive articles! For most blues harmonica players a riff vocabulary is an important part of their improvisation arsenal. You could argue that improvisation should be 100% spontaneous and not built on things you have learned before. A nice thought maybe but I would argue that making something new out of “old” material is as valuable as making up new riffs nobody has played before. Famous riffs are famous because they sound great and not using them can really hamper how you sound. In this article I outline methods you can use to expand your riff vocabulary. The first method that spring to mind is to do google searches. There is a whole bunch of sites out there with loads of riffs. You can also be a bit more old school and buy books, almost all harmonica books out there contain at least some riffs. I have published a number of articles before with beginner riffs, build up riffs and V-IV-I riffs. For subscribers I also provide extra riffs (see below). When learning a new song either from tabulature or if you transcribe it yourself you have a gold mine a new riffs. This is probably one of the most unused sources for learning new riffs. Many players feel that they are stealing if they extract riffs from songs. What you should do is pick out riffs you are especially fond of and try them under new circumstances. Different, tempo, different key or a different groove can transform a riff and I can guarantee you that very few people will complain. There are of course riffs that are very connected to certain songs such as “Mannish Boy” and maybe these hooks are best left for covers of that song. When you search for riffs online you will most likely find second position riffs. If you are a beginner this is likely where you want to start but if you want to try third position for example you may feel a bit limited. You can of course search for third position riffs but you can also use your second position riffs to expand your riff vocabulary for third position. I have written about how to do this in a previous article. Not all riffs are suitable to tranfer to another position but it can give you good ideas for riff variations. Another thing that is underused is transposing a riff from one octave to another. If you have a riff you like in the holes 4-6 range you can try playing it in the 7-10 range instead. This is a great way of learning to use the upper octave more. As you can see you have quite a few ways to expand your riff vocabulary, how much time you spend on this is up to you. Don’t forget to sign up below to get the Welcome package and exclusive articles! This includes the “Positions and Blues Scale” , useful riffs as part of the exclusive articles and the “How to Change Position Cheat Sheet” PDF to make moving between first, second, third and fourth position quick and easy. Expanding your vocabulary of techniques is a great way of creating more possibilities for your self as a blues harmonica player. In this article I will explain the pull slap technique. I feel it is a great addition to let you shape the sound you get out of your riffs. The pull slap is building on the tongue slap technique and it can sometimes be hard to distinguish between them when listening to a recording. The sound will be a little bit sharper and a bit more staccato than the standard tongue slap. 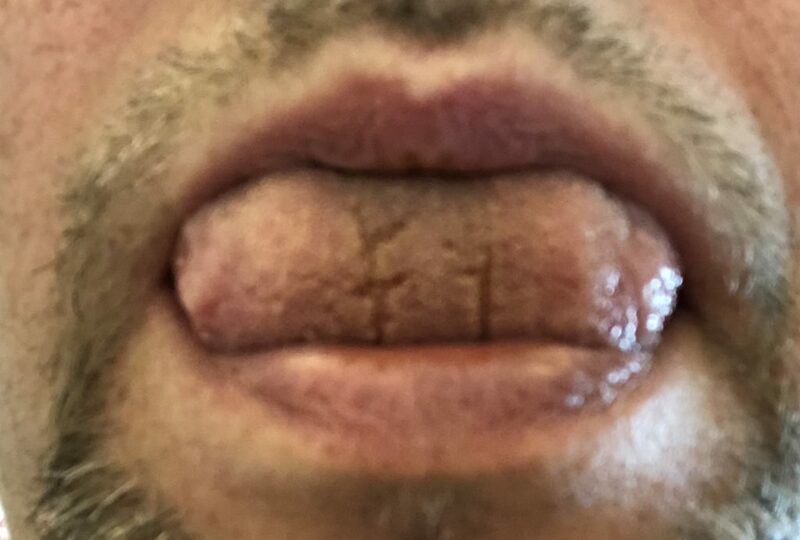 The reason for this is that the air flow is fully blocked and an internal pressure is built up before the tongue slap is performed. This pressure is the reason that the chord part of the tongue slap is a bit sharper and very pronounced. The staccato feeling comes from when the holes are first fully blocked before the pull slap is completed. As you can understand from the explanination above it is a very good idea to first pratctice tounge slaps before mving on to the pull slap. It is also a quite simple extension as the only thing you do is covering all holes with your tounge first. You can basically use the pull slap whenever you would use a tongue slap and can be a great way of slightly varying the sound. Sonny Boy Williamson II was a master of this technique. You can hear it in “Born Blind” for example. I suggest to add this technique to your arsenal begin working it into your riff vocabulary. You can never have too much technique! I have previously written about how often you should practice and for how long. In this article I will outline what my practice session plan looks like. With a little bit of planning you can progress a lot faster. Depending how the duration of your session different setups are suitable. If you only have time for a very short session, say 2 minutes, I recommend you spend that on train imitations. The reason for this is that you get a complete musical workout in the shortest possible time. Especially if you practice with a metronome and keep your ears open. It is also a good idea to start slow, accelerat, maintain the speed and then slow down slowly. This will give you good control over changing your tempo. This is the simplest form of practice session plan for up to 5-10 minutes. Repetoire building. Study 1-2 songs you currently cannot play fully. Pick out the parts that give you the most problems are work on them. Song rehersal of 1-2 songs. As you can see it is pretty natural to have a longer more elaborate practice session plan for your longer practice sessions. The goal is to keep it fun, engaging and challenging. We don’t just want to play, we want to practice! Now try it out for yourself and let me know how it goes. One of the things I like about tongue blocking is the variety of different techniques available. For me it the embouchure that gives me the best ways to sound bluesy. One of the first techniques to learn as a tongue blocker is the tongue slap. In this article I explain how it is permormed and the sound to expect. The tongue slap technique can most easily be explained as a short chord played immediately followed by the highest note played as a single note in the tongue blocking embouchure. Place your mouth over holes 2,3 and 4. You can include hole 1 if you like. Place your tongue over holes (1), 2 and 3. Now you are in position to play hole 4 in the tongue blocking embouchure. To make sure that you have positioned everything correctly you can try inhaling or exhaling. You should now hear only hole 4. Without breathing lift the tongue from the harmonica. Initiate an inhale chord by breathing in. Quickly place your tounge back over holes (1), 2 and 3 blocking them completely. You should now hear hole 4 on its own. Going from step 4 to step 5 should be extremely quick. You do not want to hear it as a chord followed by a single note. You are looking for a single note that is preseeded by a sharp heavy push. This is extra prominent when playing through an amplifier. You can use the Filisko Tongue Block Trainer to see what goes on inside your mouth. Below is a simple riff played both with and without tongue slap. Same riff but with tongue slaps. The tongue slap technique is great to use to spice up very simple riffs, it will make them sound bigger and more interesting. I would say that you can use the technique quite extensively but make sure to mix it up with at least a few “unslapped” notes. Too much of the same thing makes it uninteresting. If you are not already using tongue slaps I suggest that you incorporate it in your playing for that extra punch in your sound.